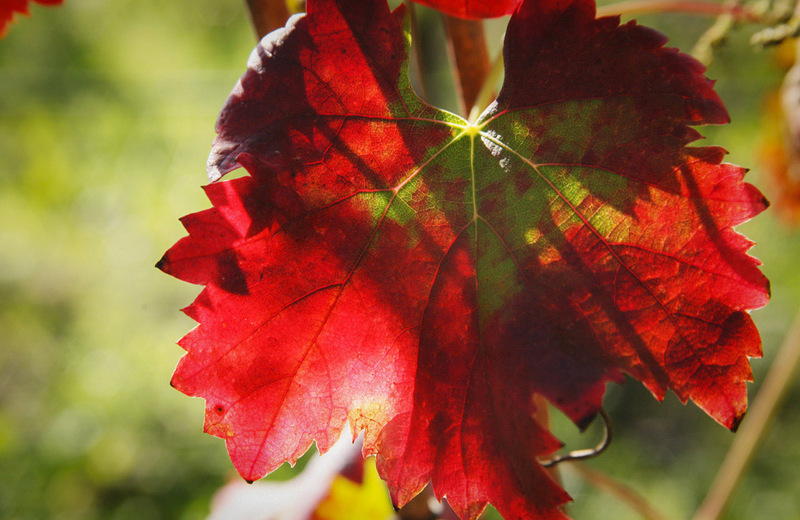 In 2010 we took an important step: to convert our winery into one that fully respects our environment by introducing 100% ecological farming methods. After 2 year into the transition period, 2012 marks our first harvest of ecological wines, in accordance with the rules and regulations of the local Balearic council of ecological agriculture (CBPAE). 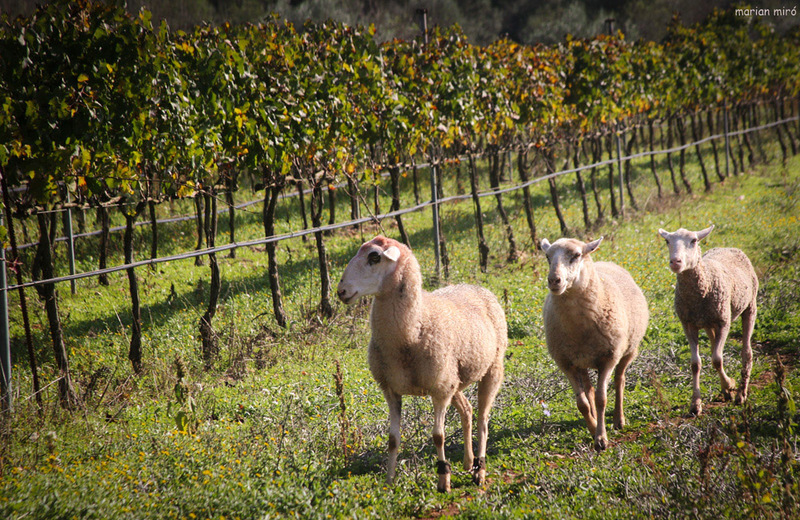 Ecological agriculture is based on the principle of minimizing the impact on our environment, and allowing -in a harmonic way- nature to express itself in our different wines, harvest after harvest. 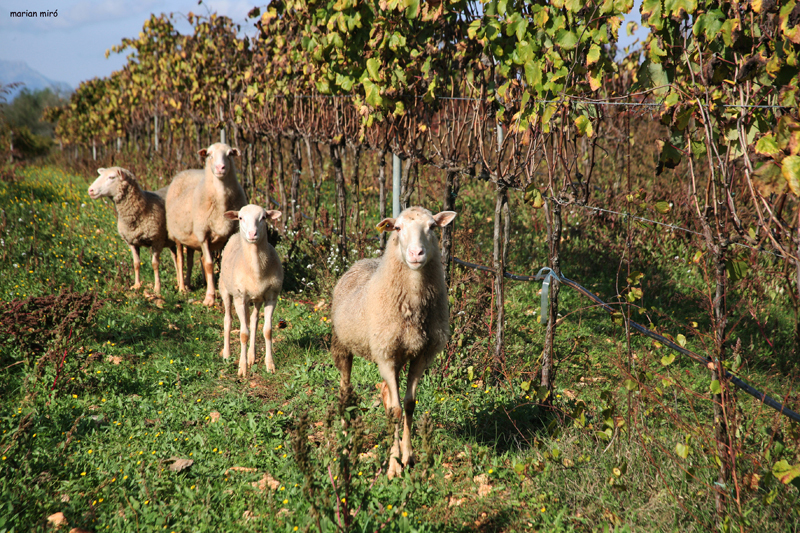 We do not longer use synthetic pesticides nor fertilizers and exclusively apply what nature gives us, for instance the manure of the sheep that graze on our fields and eat the local herbs that grow in our grapevine. And we make use of the latest research in combining the right herbs with our vines in order to ensure a balanced and natural way of protecting our grapes against diseases. 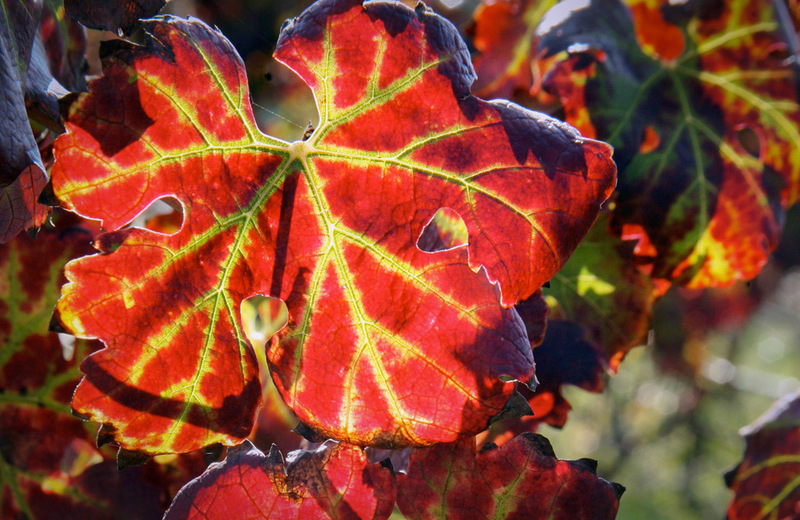 Moreover, we are more and more using local grape kinds as they have proven to be more resistent to any diseases and well adapted to the local climate conditions. We recognize that the volume of our production will be less, because we are not artificially forcing the growth of our grapes, but we fully accept this in our quest to increase the quality of our wines all given to us by nature. As said, we are working with the official standards of ecological agriculture and have been approved by the local council. But to us, the approval of nature itself is so much more important. You can imagine our joy when we saw birds returning to our fields. Not to eat our grapes, but to use it as a natural and clean habitat to lay their eggs and nurse their offspring!